I’ve been away for ages, it feels like! 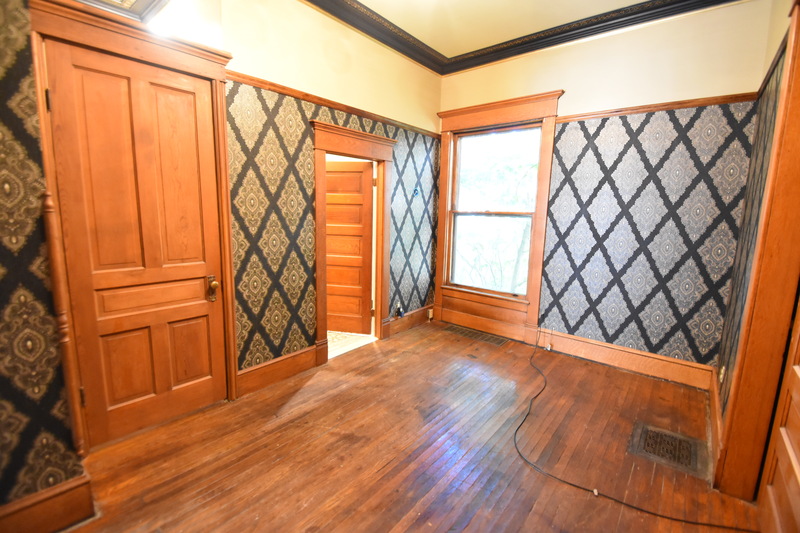 Marching band and school are going well, but it’s definitely left little time to work on the house – and definitely no time to blog about it. So I’m a bit behind, but hopefully by the time I catch up, I can start working on projects again! What’s next? 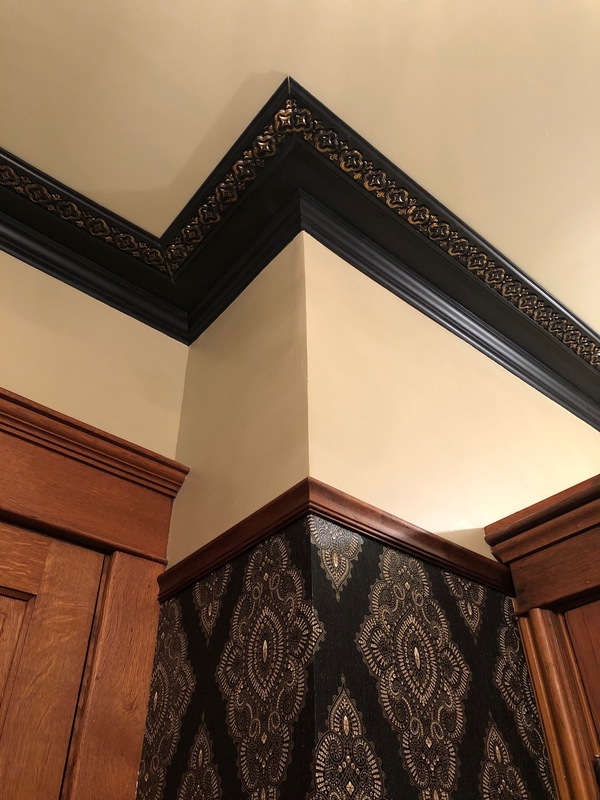 A moulding at the top of the wallpaper. 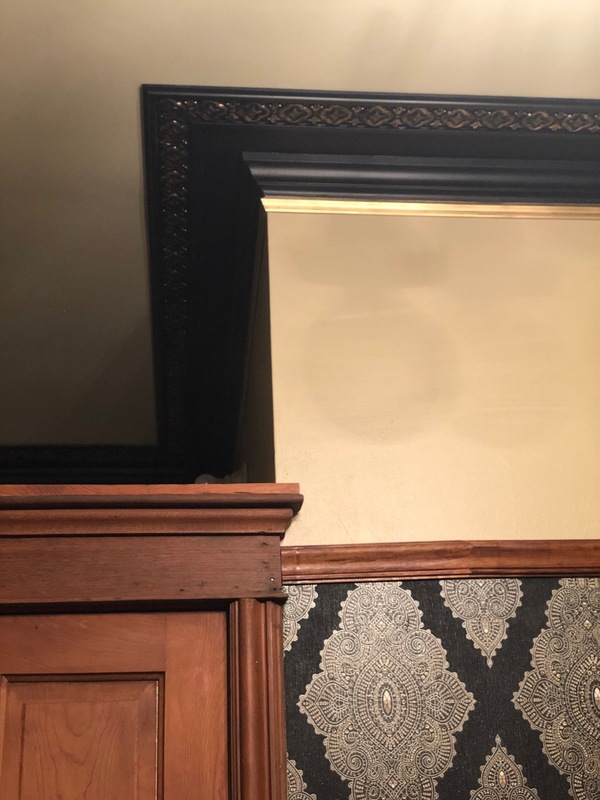 It’s not a REAL picture rail, but I’m calling it that for the purposes of this blog. 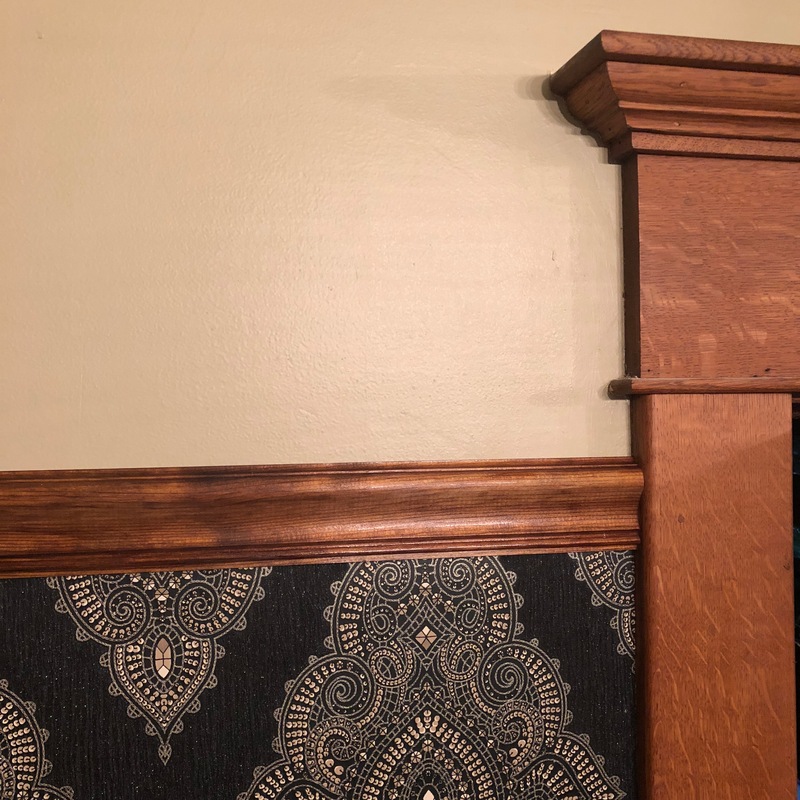 What is legit picture rail? Here’s a great blog post that explains it! 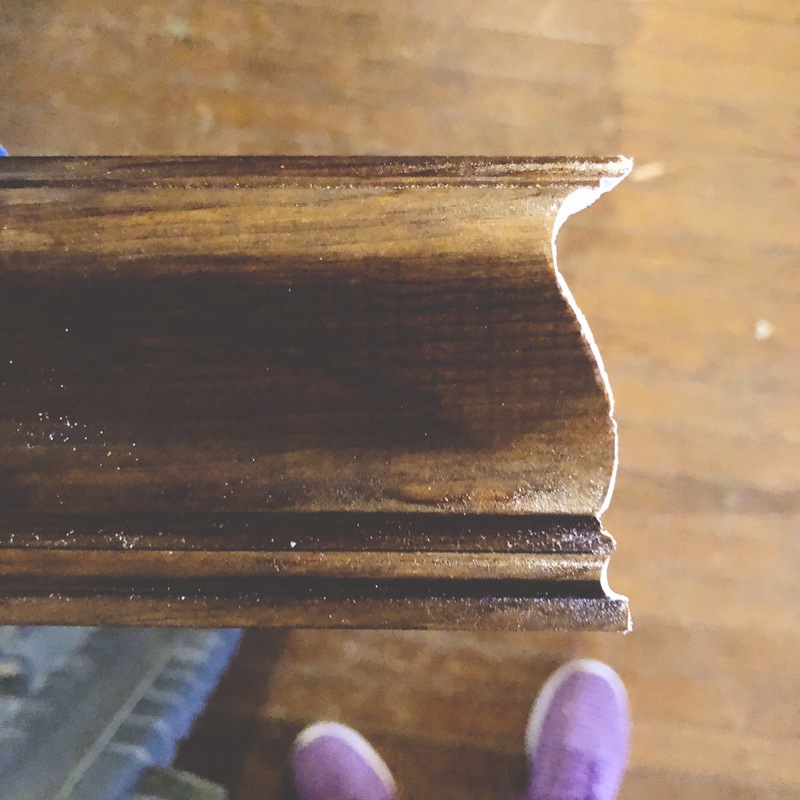 It’s not the easiest to find, but as the blog I just posted says, you can find both the moulding and the hooks at House of Antique Hardware! This WILL go in several of our rooms eventually, I just didn’t have the budget for this room – though it would be an easy project to add onto later! It just looks so much more finished now! 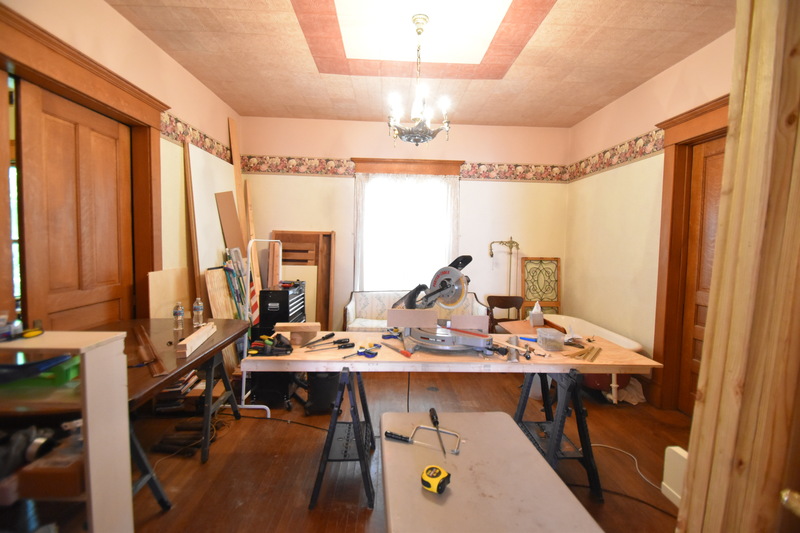 Terrible Blogger Alert : In the rush to get the room somewhat done for the Home Tour we were just on, I was TERRIBLE about taking any in progress pictures or how-tos. I was doing this all by myself while Doug was working on getting the basement in order, and I was just moving so fast, that I literally took two in-progress pictures, and neither is amazing. Picture One : Here’s the Future Library! It has a saw in it and I’m using at as a work space! Picture Two : I’m starting to cope pretty well! And…. that’s it. So lame, I know. It makes THIS part of the process – the blogging and documenting – feel utter incomplete when I don’t use it as a moment to teach or explain. I don’t like just having before and afters, but I promise I’ll get back to my regular self, soon. 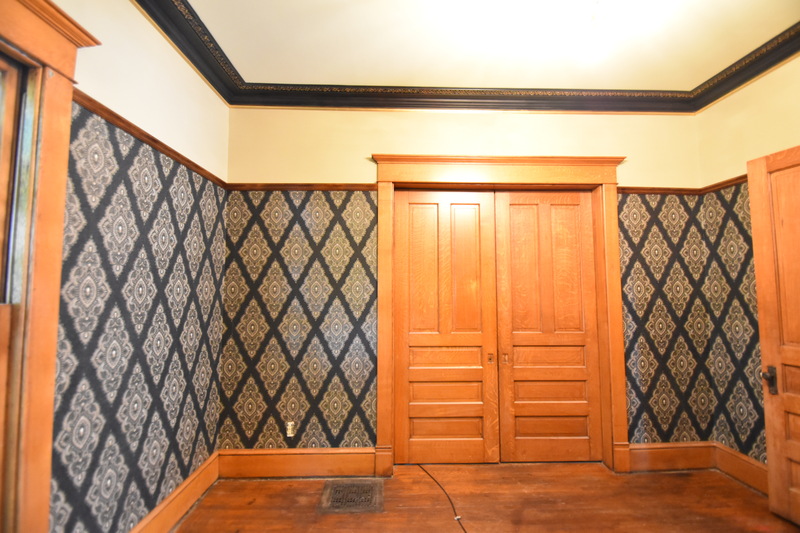 Just try to be mesmerized by the wallpaper and you’ll forget ALL ABOUT IT. It really looks infinitely more finished now! So then, I decided, “This is not enough.” And I wanted the crown to have ONE more piece of pretty. 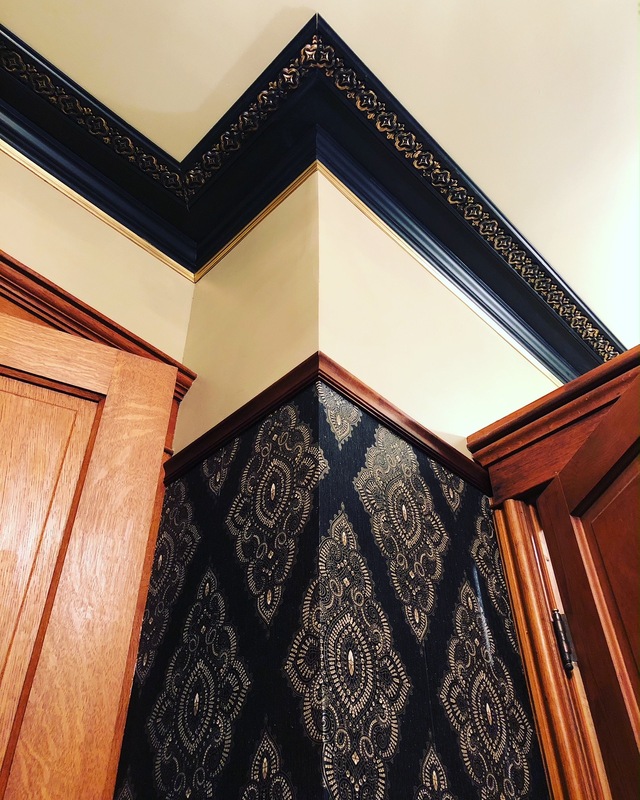 I added a piece of gold moulding underneath, and THEN, it felt really complete. 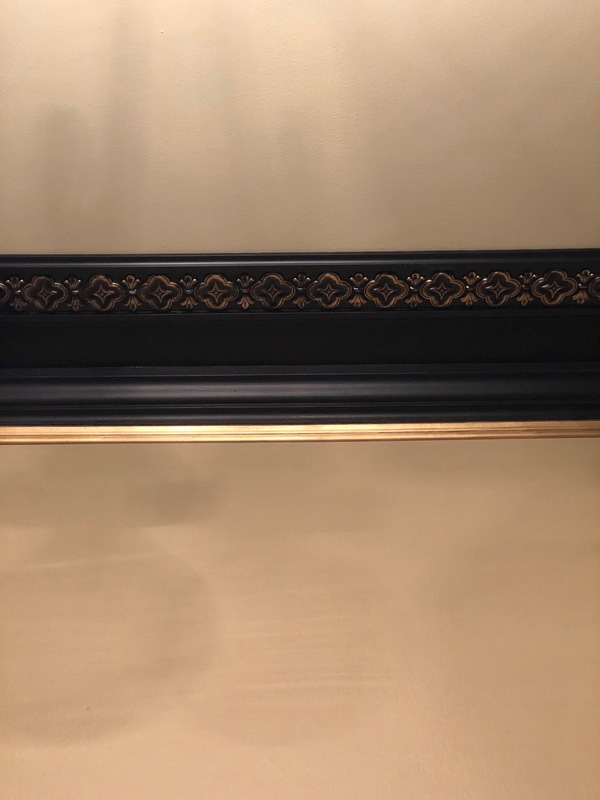 It is the cheapest of cheap moulding, and I sprayed it with gold spray paint. And it looks awesome! Here’s the gold partially installed. And the room is ready to become a proper living space!!! I’m super pleased! 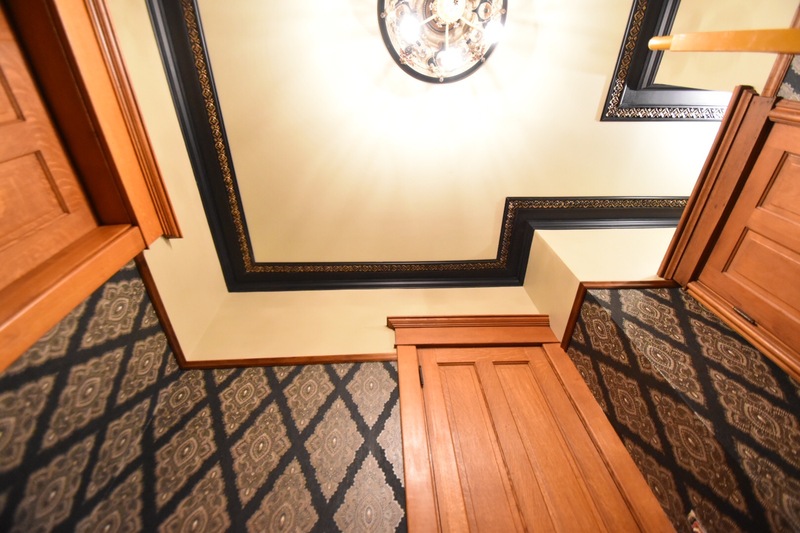 It’s very stately – but still completely fun. Stay tuned – more to come!!! Previous PostMy Favorite Part. Always. And I can completely relate to rushing through and forgetting the progress photos, espeically if I’m working with my dad. So it’s lucky for the blog that this time the window installation will be just me and my boyfriend (it’s not lucky in any other way). Love it! Did I somehow miss that you were going to be on a home tour? It’s so funny, because my husband was on a trip in August/September and went through Indiana. I mentioned to him that he should try to find your house and do a drive by. I wondered if you would participate in a home tour sometime, and we could somehow manage to come. 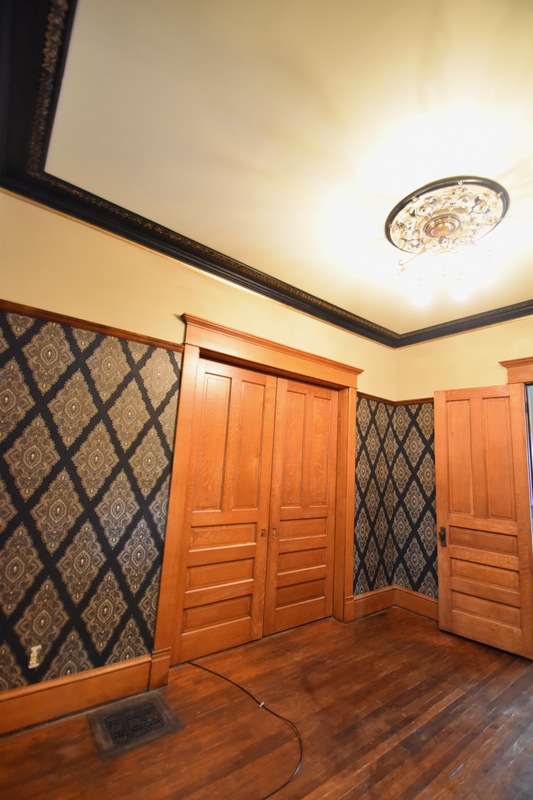 It would be so cool to see your house in person! I hope you will do it again. I mostly lurk and learn and don’t comment. But I want you to know I look forward to your posts, and I’m learning a lot from you. I bet your an awesome teacher, and your marching band kids love you, just like they love my brother (who is also an inspiring teacher). 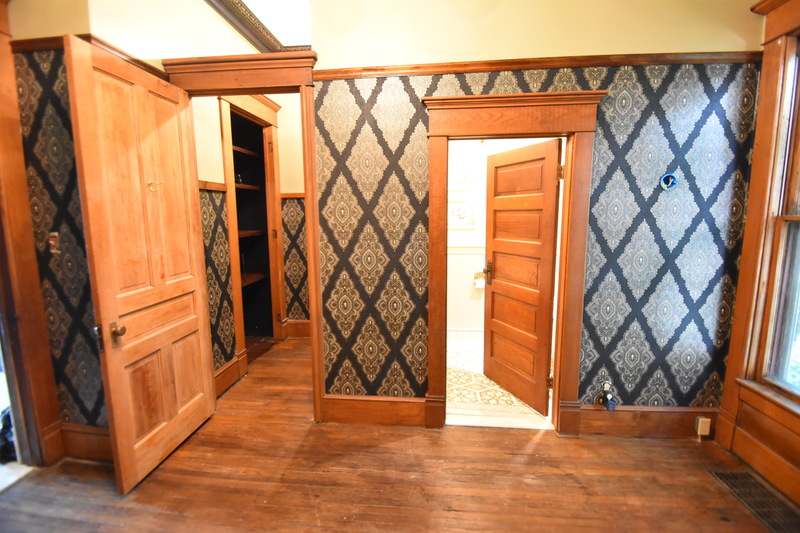 Looking forward to a photo of you sipping a glass of wine in your finished room. “you’re.” Aargh. The typo strikes again. I love your posts…no matter when I get them! Ya’ll rock!!!! 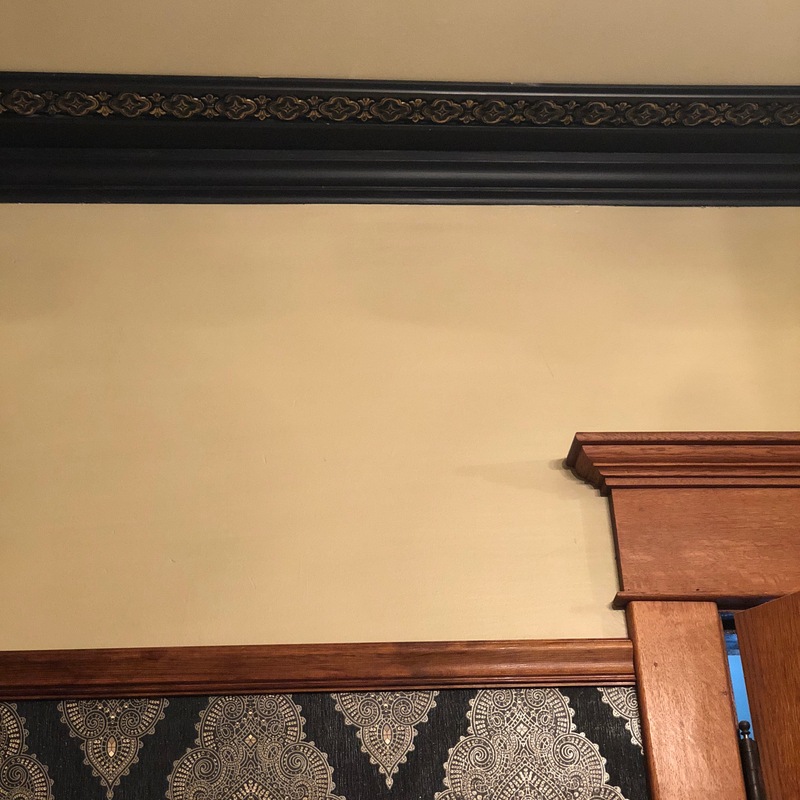 I keep getting the urge that the white strip between the crown moulding and the picture rail should be painted a light shade of gray. 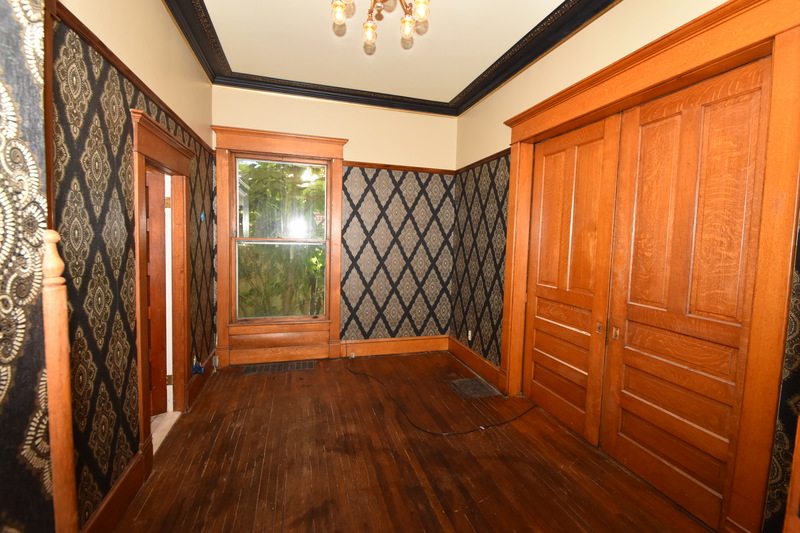 It wouldn’t be overbearing, and I think it would tie the wallpaper very nicely into the dark crown molding. I can just picture it! What do you think?